Microsoft has just released SkyDrive client application for Windows, Windows Phone, Mac OS X Lion, and iOS operating systems. The SkyDrive client lets users to access, browse and upload files to your SkyDrive account without leaving the desktop and offers 7 GB storage space for free. Users who need more storage space can purchase paid storage. You can add +20 GB to your account by paying $10/year, add 50 GB by paying $25/year or 100 GB by paying $50/year. 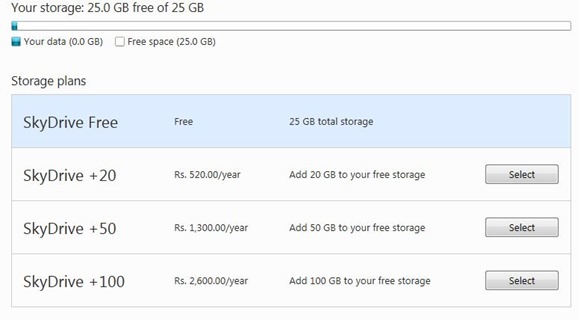 While Microsoft claims that 99.4% of the users use of 7GB or less space, it would be nice if Microsoft offered 25 GB as free storage space. Now the good news is that Microsoft is offering 25 GB free space for loyal SkyDrive users. 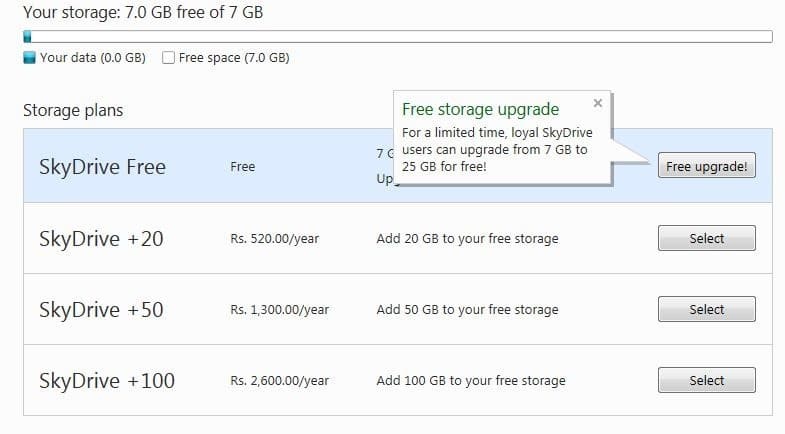 Just follow the instructions given below to upgrade your SkyDrive account storage space from the initial 7 GB to 25 GB for free! Step 1: Visit this page, download the setup file and install SkyDrive client on your PC. 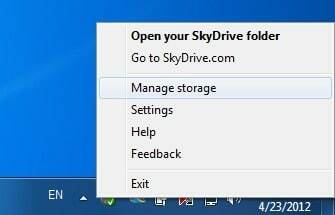 Step 2: Once installed and running, right-click on the SkyDrive application icon in the system tray (notification area) and click Manage Storage. This action will open SkyDrive account home page in your default web browser. Step 3: Enter your Windows Live ID and password to login. You should see storage plans and a free upgrade offer. 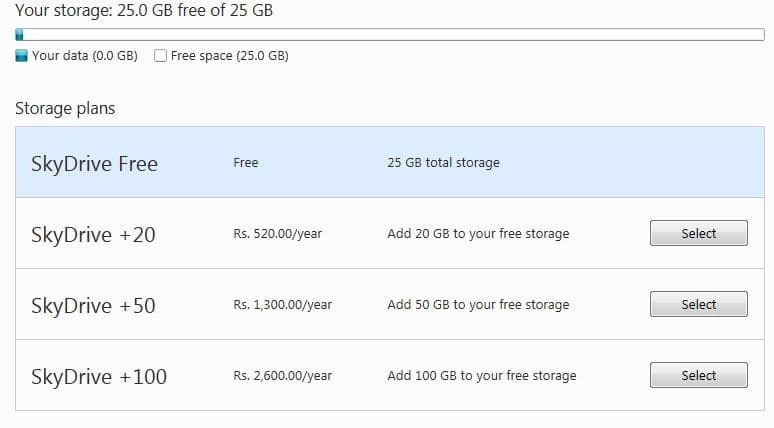 Simply click on Free upgrade to upgrade your storage space from 7 GB 25 GB. Good luck! The offer is only for long time SkyDrive account users. Is the free upgrade to 25 gig finished?? Following the instructions given, I don’t see the free-be. Worked – thanks a lot for the info!